The best gift for a birthday has to be a spa day. Not only is it a memorable way to mark a birthday for the one celebrating, but by joining them it’s a real treat for you too. 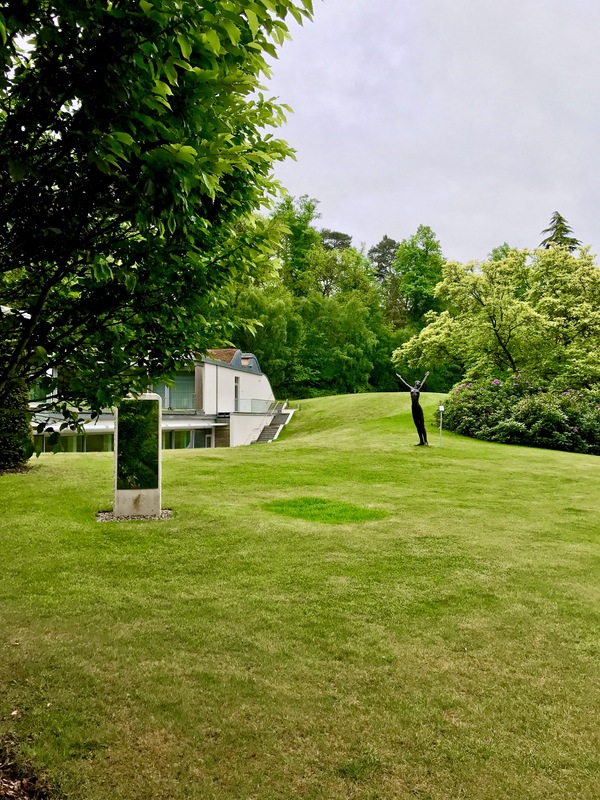 A day at the five star, Coworth Park Hotel in Ascot is the best place to be pampered, as one of our favourite spas in England. 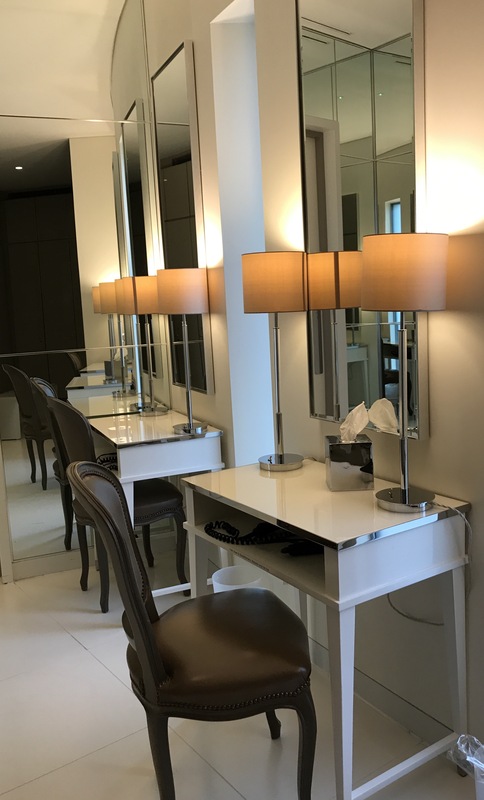 As part of the Dorchester Collection the attention to detail is what makes this spa stand out.Spa days at Coworth Park Hotel are a luxurious retreat, set amongst beautifully landscaped, lush countryside. And better still, the tranquil haven is only a 45 minute drive from London, yet feels like worlds apart. 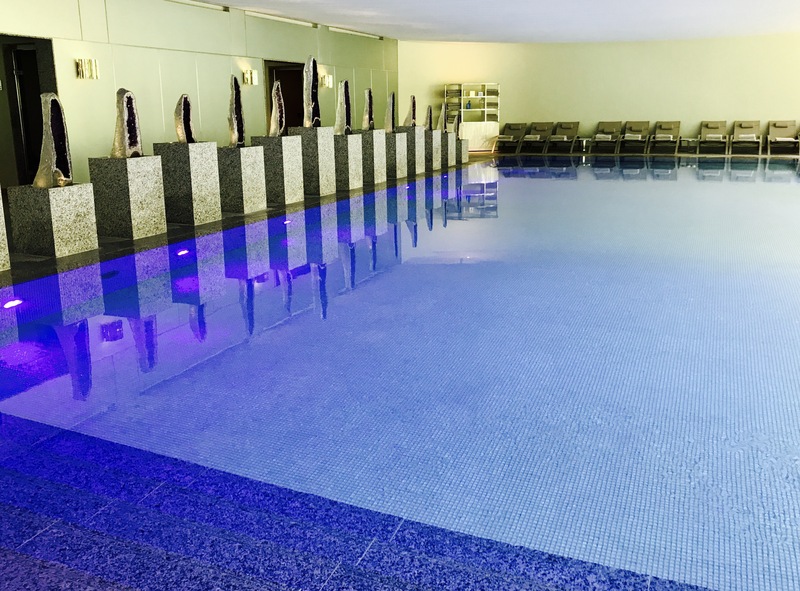 A sparkling spa day at Coworth Park Hotel is ideal for pure indulgence and relaxation. 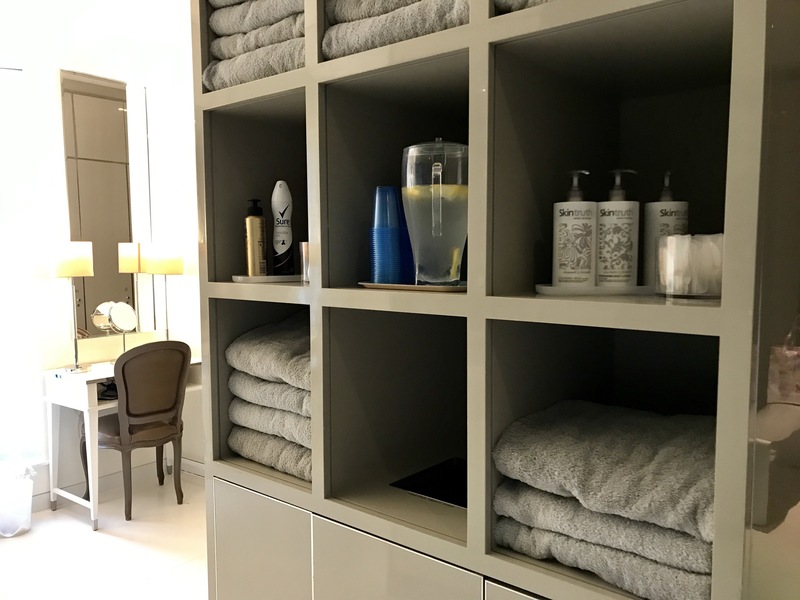 The changing rooms are well equipped with a safe, robes and slippers to get comfortable for the day. 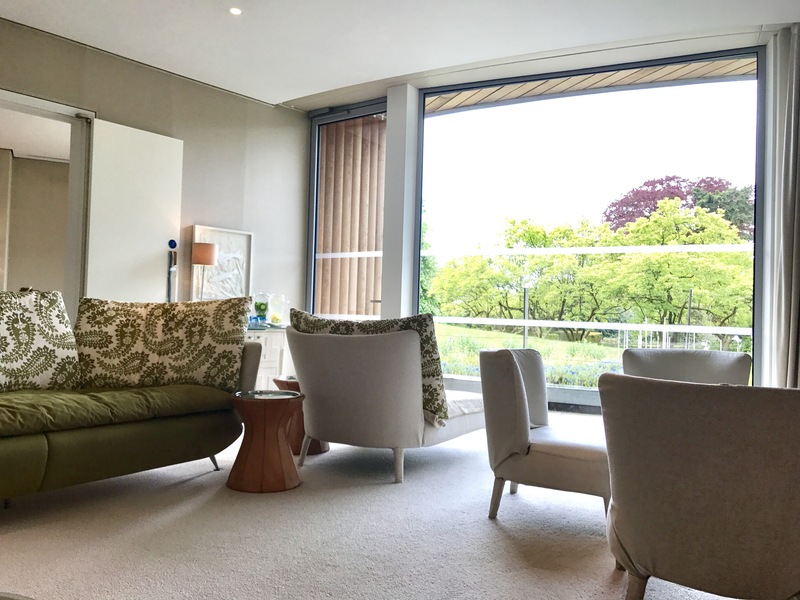 The Spatisserie has huge windows overlooking the manicured lawns, and is beautifully bright and airy. 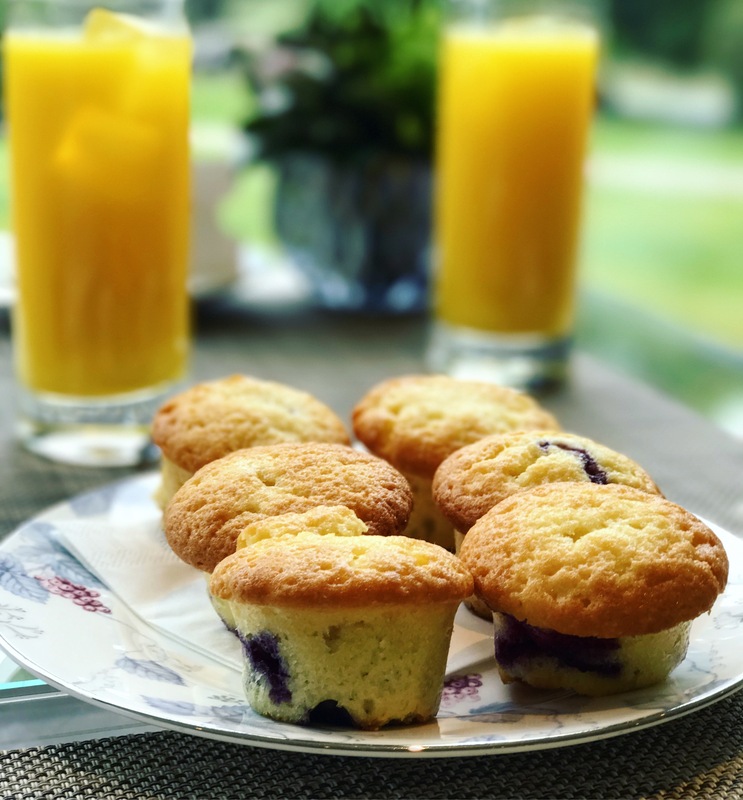 The service is swift and the delicious homemade blueberry muffins and fresh juice are the perfect start to the day. As a special surprise for a celebration, came a lovely birthday cake too. 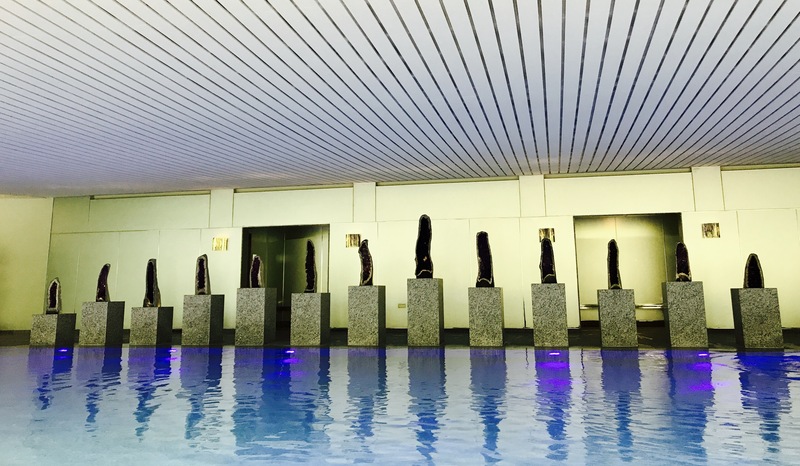 The pool is lined by purple quartz rocks and surrounded by loungers. The whole spa seems to be a really warm and cozy which makes the slightly cool pool quite inviting. 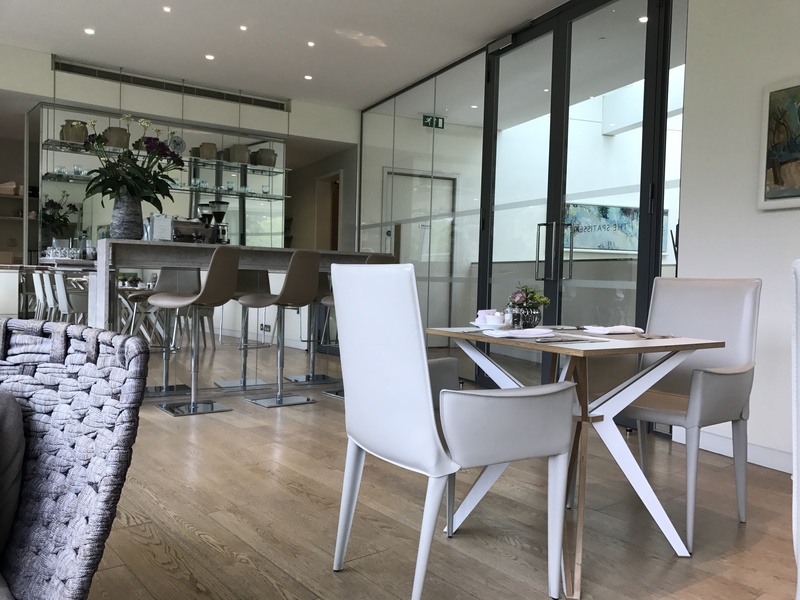 After a few hours unwinding by the pool and in the steam room, it was back upstairs to the Spatisserie for lunch, before the afternoon of treatments. 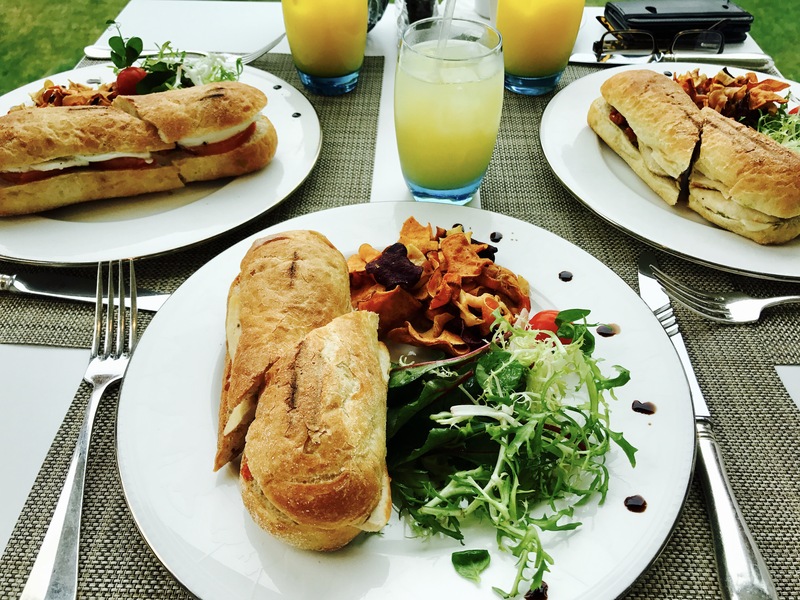 The chicken panini with pesto and sun dried tomatoes served with root vegetable crisps and a salad tossed lightly, was delicious. 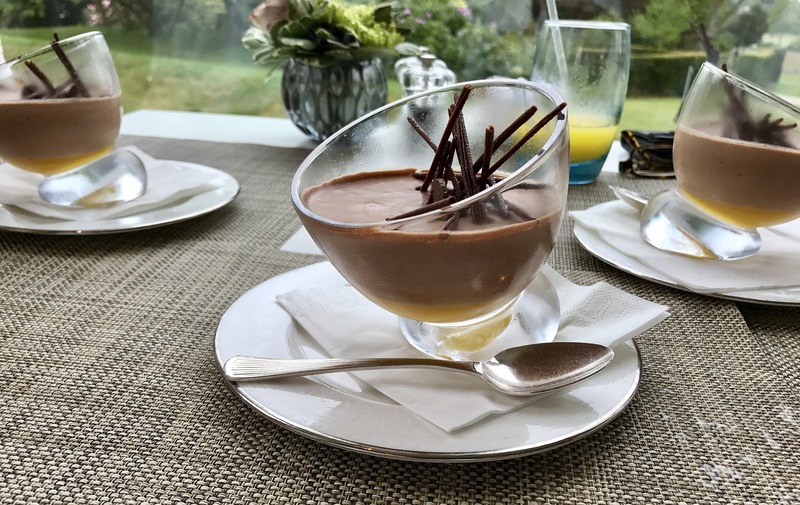 There’s no way a detox spa day at Coworth Park will leave you hungry, as the portions are more than substantial. 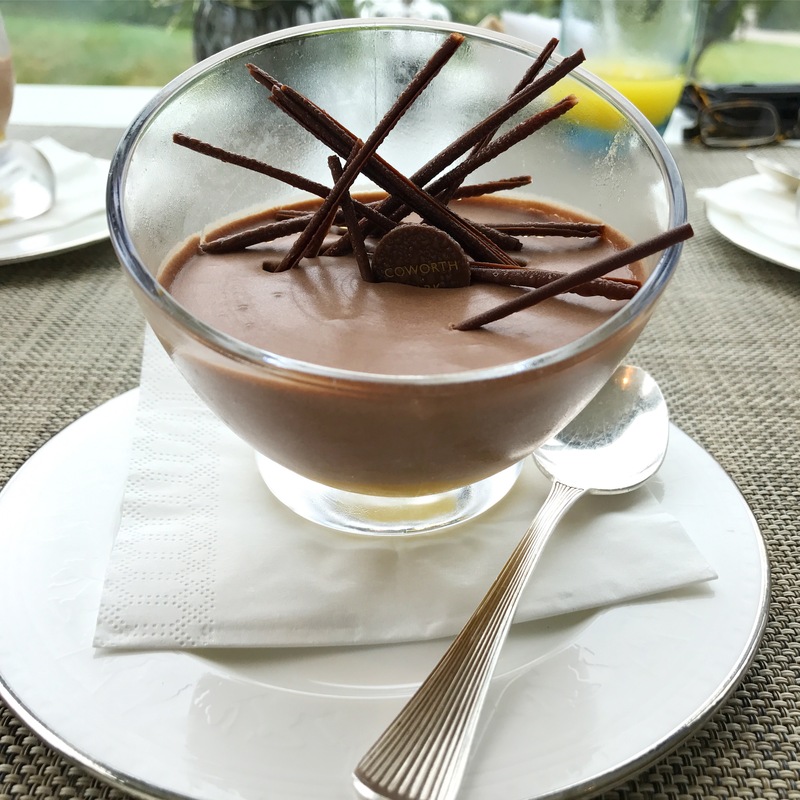 The chocolate mousse was creamy and rich, on a bed of tangy orange jellied segments topped with delicate chocolate scrolls. The Sparkling Spa day includes 150 minutes of treatments that are absolutely perfect. 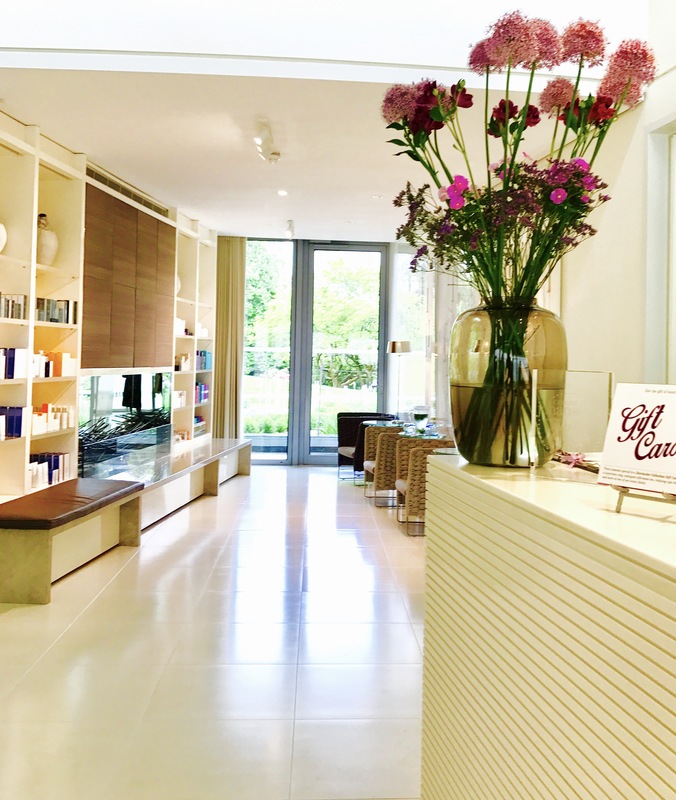 It includes a Kerstin Florian facial, target tension massage and a Eucalyptus Body Exfoliation. 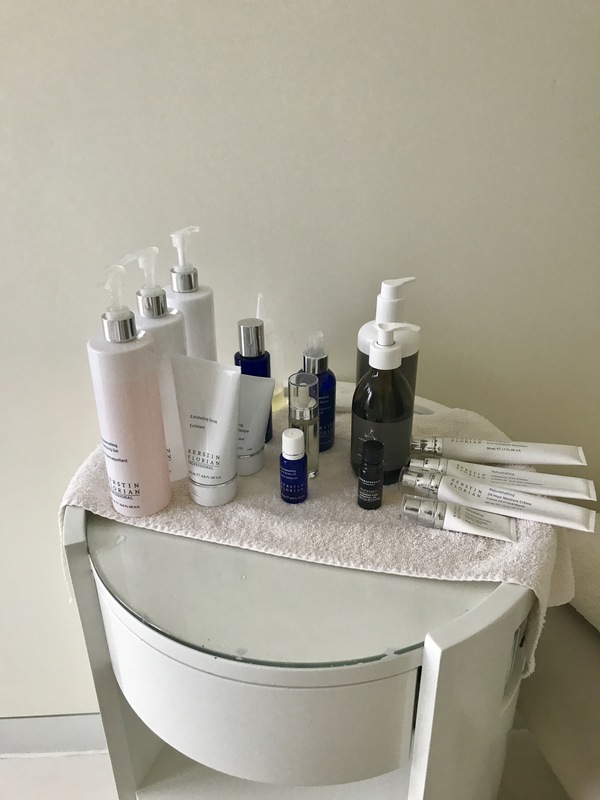 The exfoliation is brilliant as there no gritty, coarse particles or the need to shower as the therapist smooth on exfoliate and gently heat and wipe it all away. It’s pure bliss. 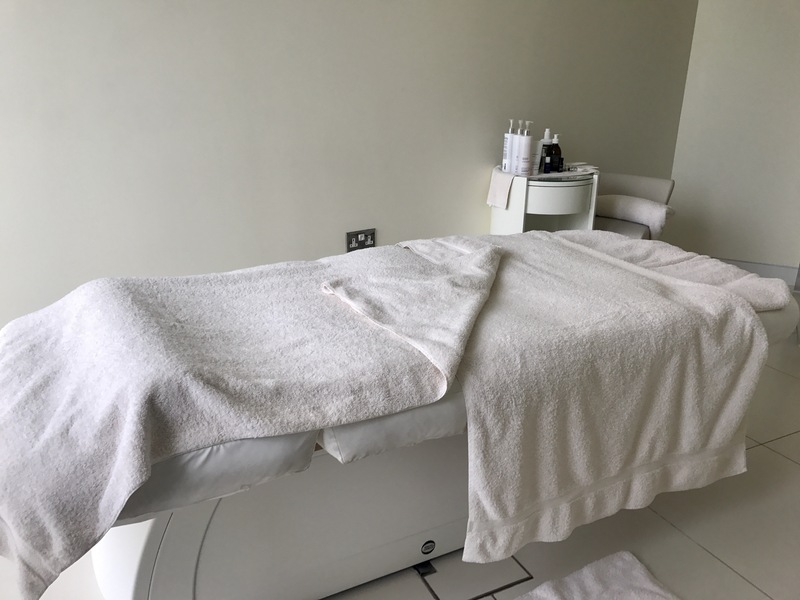 The treatment rooms are surprisingly bright with lots of natural light flooding in, but it’s not long until you fall into a deep slumber on the warm, heated beds. 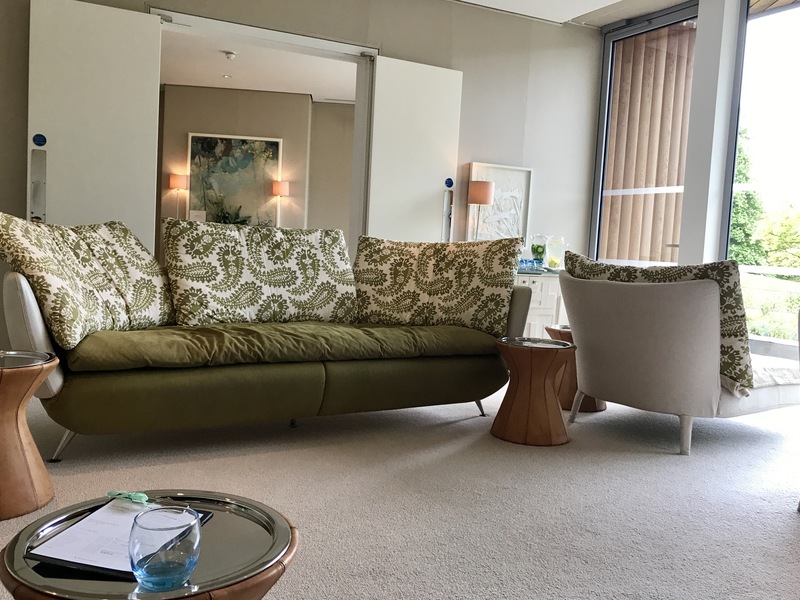 The quiet room has sumptuous sofas and stunning views to sit back and absorb. 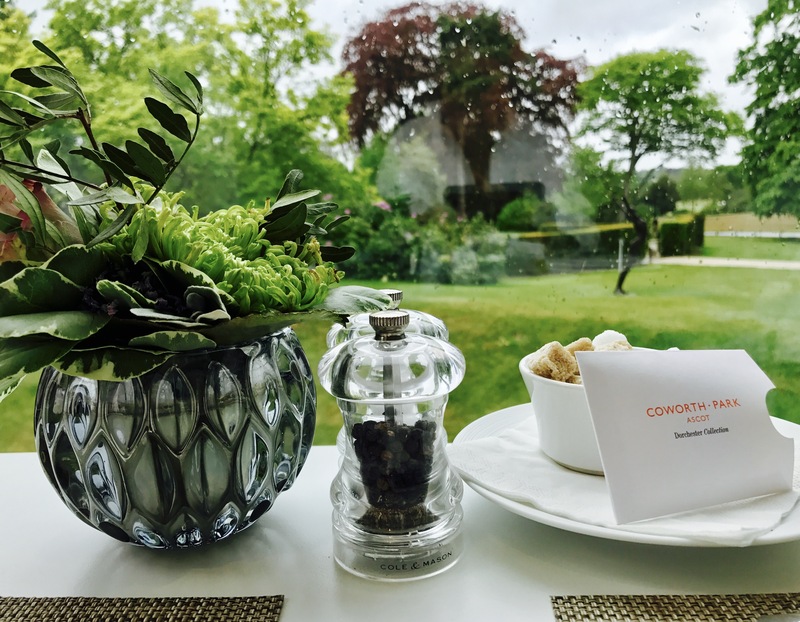 Coworth Park Hotel is ideal for a special occasion and is most memorable. 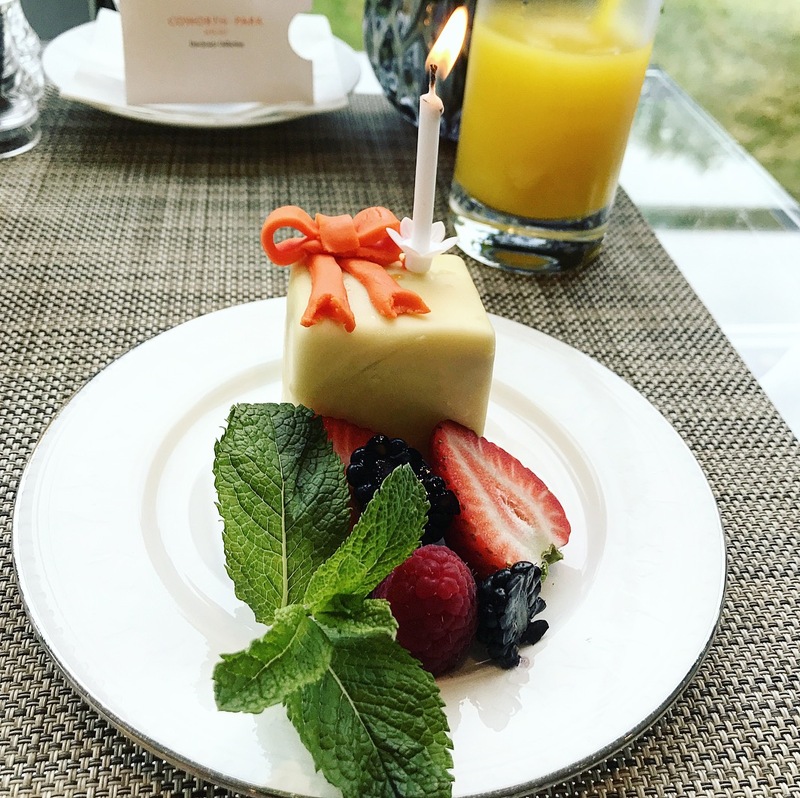 We can’t wait to go back, especially now we have a pact to spend every birthday at a spa!